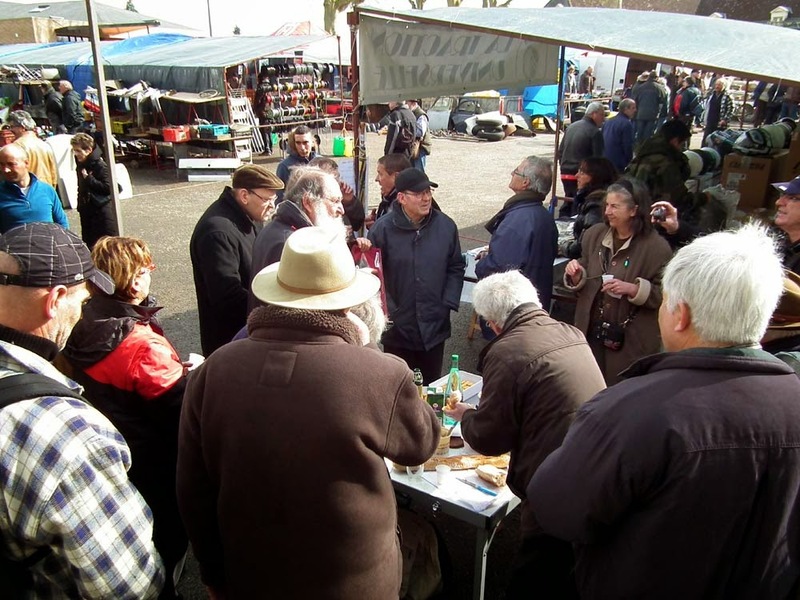 The first local car club outing we attend each year is the bourse at Noyers sur Cher. This year we attended with yer actual money and intent to buy: nothing seriously mechanical, but a bit of bling for Claudette. 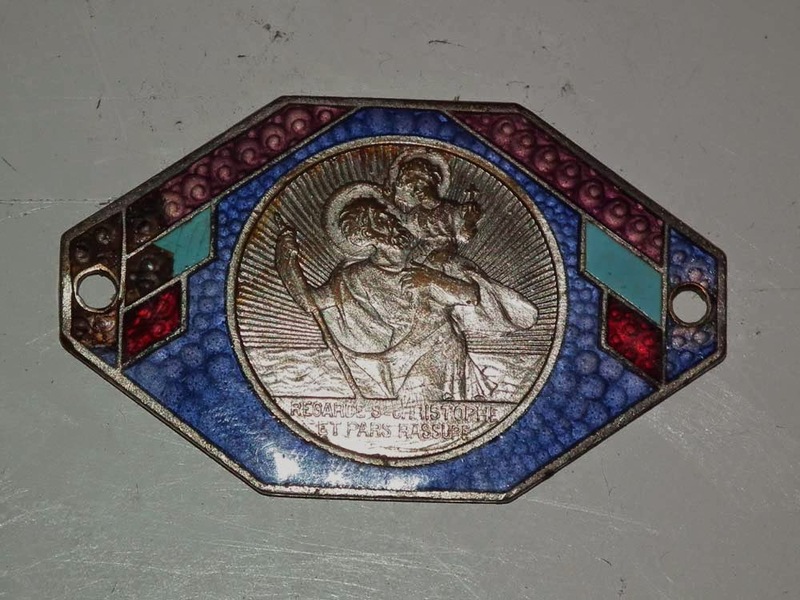 Célestine has a St Christopher medal on her dashboard as is traditional, but until now we haven't had one for Claudette. Not that I believe a bit of bling will keep me safe (it might even work the other way - what if someone step in front of me whilst I am admiring it?) but it is a nice period feature. I think that will work quite nicely (and cover up the hole where the switch for the fog lights used to be). "It is amazing how much fromage de tête some people can get on the finest sliver of bread... "
after all, you don't want to drop the wine! A few years back, the Catholic Church demoted Christopher as a saint, as well as a big bunch of other ones, probably to make room for that awfully backward pope, John-Paul II. Superstition is on the eye of the beholder! In any case, this trinket is nice and will be useful to hide that hole. Valentine was another that got the chop in the purge.